VIP Designs Avendator VIP Edge software upgrade pushes out an extra 50bhp and 50Nm torque – combined to give you that edge of 0-60 in 2.7seconds! Because you never know when you’re going to need it, just ask Usain Bolt what those few extra seconds can do for you when you’re out on the track. VIP Design creates bespoke vehicle tuning and automotive styling solutions; recent projects include the 650bhp Jaguar F-Type Predator. The 650bhp XKR Vanta Black and now The Aventador Edge. 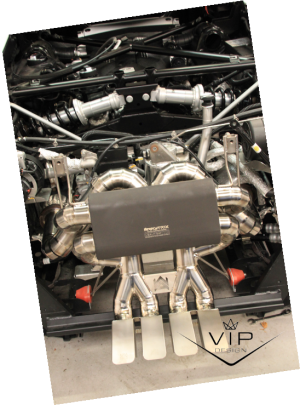 This latest project, The Avendator VIP Edge, gets more than a software upgrade too – if you’ve ever seen, heard or driven one of these beautiful beasts you will know the standard exhaust system doesn’t do it any justice. Check out the sound and video clip of the before Lamborghini Aventador and the after Lamborghini Avendator VIP Edge Conversion from VIP Design; the difference is just dramatic – why wouldn’t you? The original exhaust system just seems to sound too floral for this ride. Upgraded, the Lamborghini Avendator VIP Edge Conversion sports exhaust just simply packs more explosive burble, grunt and presence frankly. We’re not poets here at VIP Design but you get the meaning right? 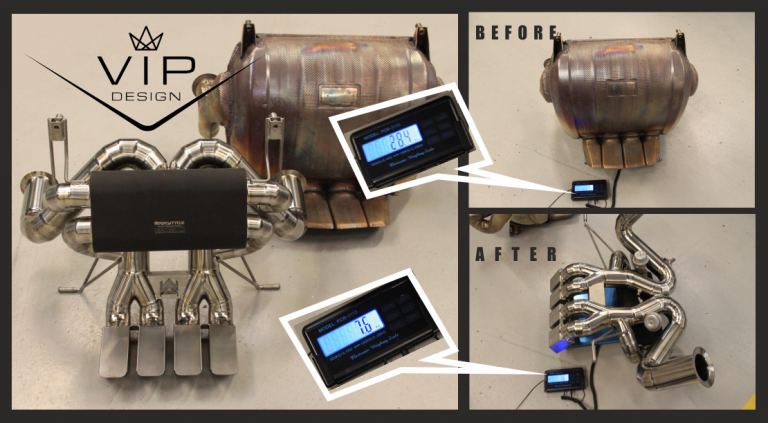 And, if the improved tone and burble of The Lamborghini Avendator VIP Edge Conversion sports exhaust isn’t enough, check out the difference in weight. With the original flower-box packing a good old bit of kilos at 28.4kg and the super-explosive-performance-burble-box only weighing in at 7.6kg! 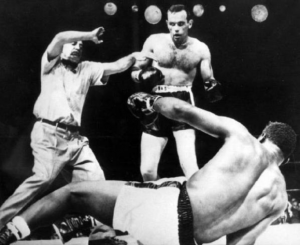 TKO! 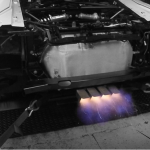 Lamborghini Aventador Tuning: The Avendator Edge Project Sports Exhaust benefits from super loud performance exhaust to a slightly more elegant lower burble all from the same system as its electronically switchable – it comes with its own remote control for goodness sake! Not convinced yet? Then let’s put it this way! Lamborghini Aventador Tuning: VIP Design’s products typically can only be accessed as a full package of styling and software upgrades. However, on this occasion you can select just the Aventador VIP Performance Exhaust System or just the Aventador Software Upgrade with its extra 50bhp and 50Nm torque the performance. BUT, if you want the Edge, you need both. The Lamborghini Aventador VIP Edge delivers the most performance without major modifications and customization and at a very competitive price as always from VIP Design Project Team – how do we do it? If you would like to talk to our Team about your Lamborghini Aventador, please give us a call on 01789 774444.